Moving to a new province is no small matter. While there is undoubtedly a lot on your mind when you relocate, Okotoks Honda is here to help you get your vehicle registered in Okotoks, just South of Calgary. As a required step to receiving vehicle registration in Alberta and other provinces, our Out-Of-Province vehicle inspection program is quick and affordable. The inspection takes approximately two hours and is performed by our team of certified technicians. As a licensed vehicle inspection facilities with a valid Alberta Motor Vehicle Industry Council license in Okotoks, you can schedule an out-of-town vehicle inspection at Okotoks Honda and be on your way to receiving Alberta vehicle registration. What Is an Out-Of-Province Inspection? An out-of-town vehicle inspection is a process required to receive vehicle registration when you move to another province. The inspection analyzes the safety and mechanical structure of a vehicle to ensure it meets the standards of the province. 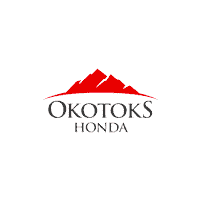 During the inspection, an Okotoks Honda certified technician will take a look at all vital vehicle components, including electrical systems, powertrain, steering, suspension, brakes, engine controls, tires, etc. The out-of-town vehicle inspection is intended to make sure the vehicle lives up to the standards of the original manufacturer. If the structural integrity of your vehicle is compromised due to a collision or you have other components that don’t meet inspection standards, they must be repaired within 10 days of the failure notice. If necessary, we will provide a quote for the repair so you can decide how you would like to proceed. If your vehicle passes the out-of-town vehicle inspection in Okotoks, just a short distance from Calgary, you will receive an inspection certificate that is valid for 14 days. Bring that certificate to an Alberta Registry Agent to receive valid registration. If you do not register your vehicle within two weeks of receiving the certificate, you’ll have to have your vehicle inspected again to ensure it is up to date. If you need an out-of-town vehicle inspection in Okotoks, your local and surrounding Calgary Honda dealer, schedule an appointment at Okotoks Honda and let us help you quickly and affordably get your vehicle registered in Alberta.